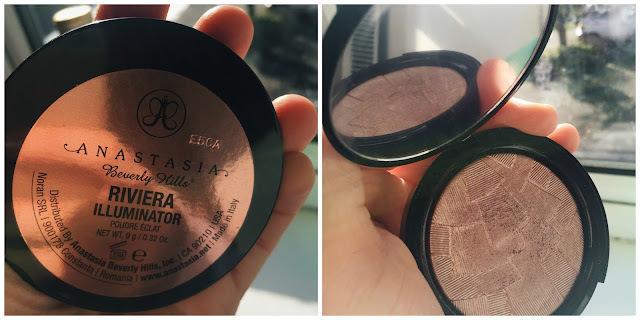 This product it definitely not 'new in' in terms of availability, but I got the Anastasia Beverly Hills Illuminator in Riviera for my birthday last month, and decided I wanted to talk in a bit more detail about it and give you my first impression seeing as I love it so. damn. much. So, little back story: my younger sister Ella (check out her YouTube channel where she uploads beauty videos ~here~) surprised me with this on my birthday (you can see a post about what I got beauty-wise ~here~). Now I'm a sucker for highlighters, just like some people can't resist a new mascara or go crazy for the latest lipstick - so needless to say I was thrilled. My impression: it's SO pigmented. The highlight really pops, your cheekbones look AMAZING and I got so many compliments. I consider it as a blusher too, well especially Riviera (the other colour you can buy is a coral-ly peach shade called Peach Nectar, which I haven't tried yet) because it's got this shimmery pink going through it too. And who doesn't love a 2-in-1 product? 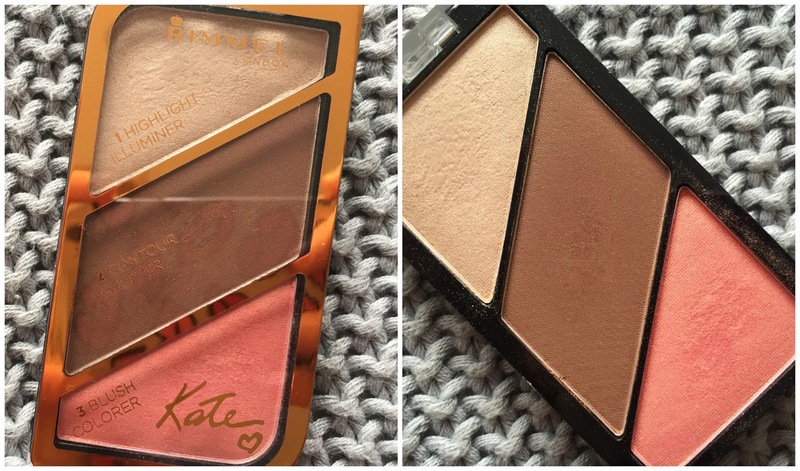 My face looks brighter and is perfect for day looks as well as nights.